- The checklist for this seasons's Series Two from Calbee went up on their website in the last week or so. 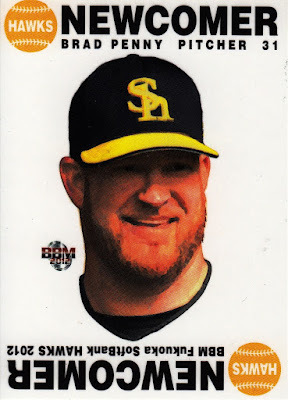 Like Series One, the new set has 72 player cards (six per team) and a 12 card subset featuring a player (or in the case of the Giants and Tigers manager) from each team's first victory of the year. Along with the four ubiquitous checklist cards, this means the base set has only 88 cards. 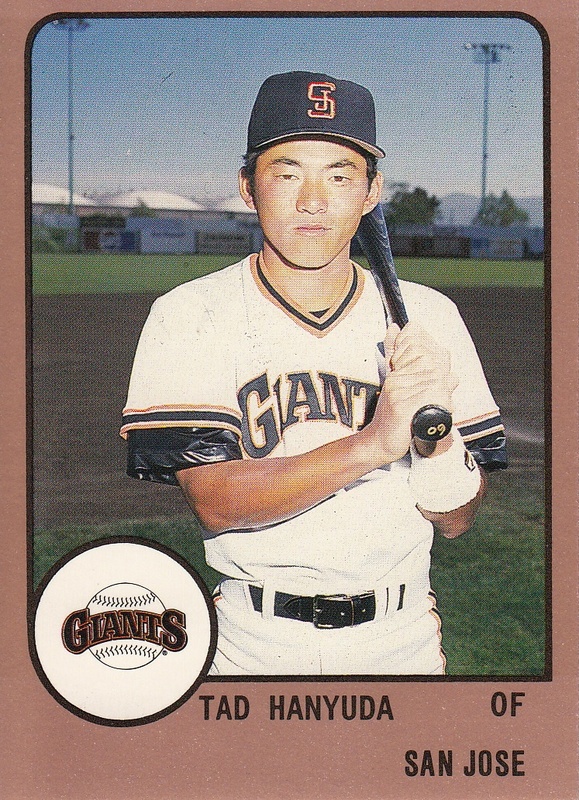 There's an additional card for the Legend insert set/premium subset from Series One that featured players retired at the end of last season - the additional card is for Nobuhiko Matsunaka who didn't announce his retirement until the end of February. There's also the usual 24 card (2 for each team) Star insert set/premium subset included as well. The official release date of the set is June 27th but as I said for Series One, it would not be a surprise to see the cards available the weekend before. - The first of BBM's annual cheerleader sets is due out in late June. Dancing Heroine - Hana is a pack based set with at least 87 cards in the base set split between the cheerleader squads of 9 teams - the Hawks, the Fighters, the Marines, the Lions, the Eagles, the Swallows, the Giants, the Tigers and the Dragons. Obviously they are not evenly divided among the teams - each team has between 8 and 12 cards. 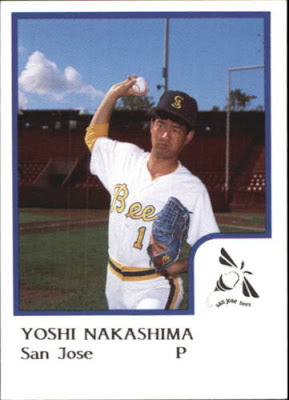 And if I'm understanding what the translation of the website says, there's actually two other teams included - the Buffaloes and the Baystars - but BBM doesn't know how many cards there will be from those two teams. Each base set card has a "holo" parallel version available. There are also autograph and "cheki" random inserts as well. 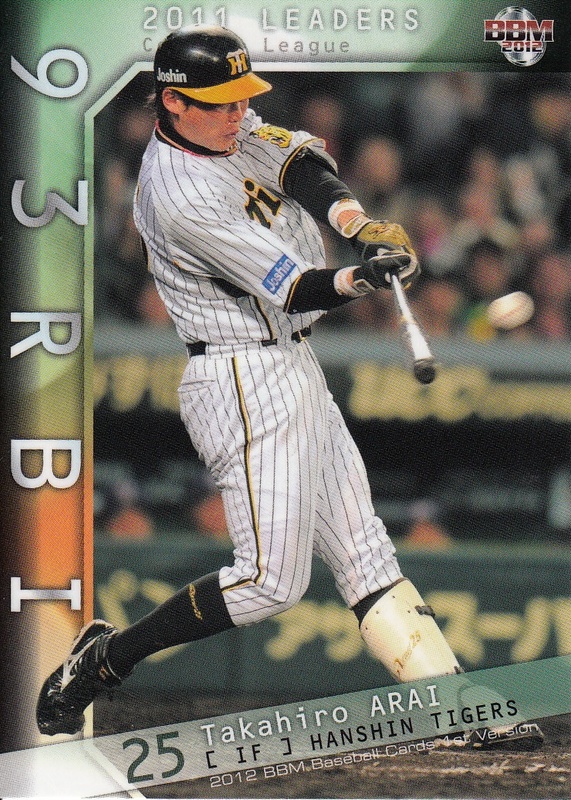 These were his second and third home runs for the year with the ichi-gun team after being called up from the farm team on May 10th. I believe that the boot on his left leg is probably the reason he started the year with the farm team. 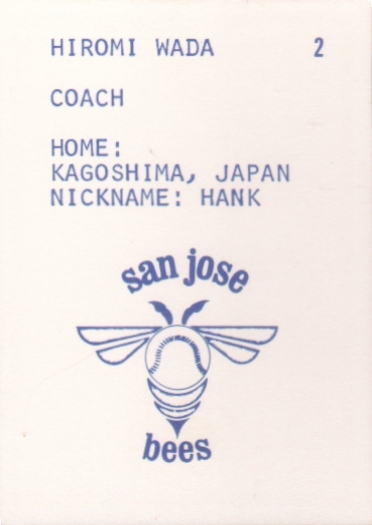 In the winter of 1982-83, Harry Steve, the general manager of Class A California League team in San Jose, had a problem. The Expos, his team's major league affiliate in 1982, had ended their affiliation and the team would be without a Player Development Contract for 1983. At the same time, the Seibu Lions were interested in getting involved in the American player development process. Marty Kuehnert was working for the Lions at the time doing color commentary on their radio and TV broadcasts. Kuehnert had been involved with the Lions' previous attempt to send players to the US minors with Lodi in 1973 and was the logical choice by the Lions to help out again. Kuehnert contacted the Baltimore Orioles, who had been the Lions' partner with Lodi. The Orioles had just made a deal with San Jose to provide a couple players so they suggested that Kuehnert contact Steve. 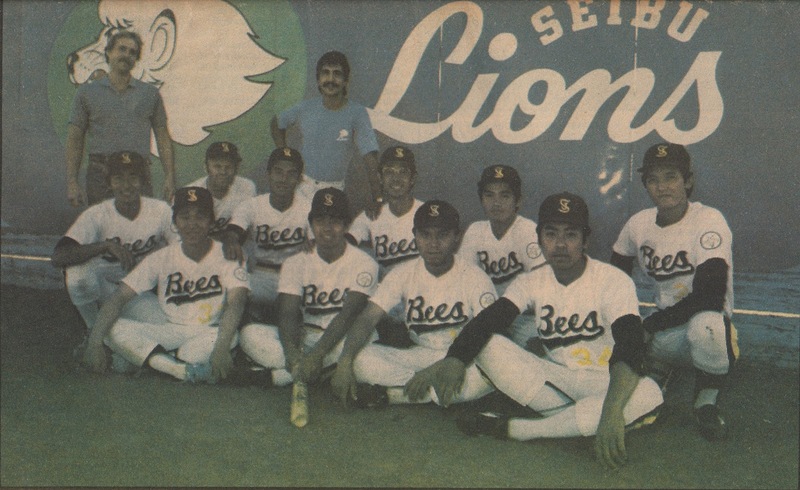 The San Jose Bees ultimately ended up with six players from the Lions for the 1983 season - Osamu Abe, Koji Akiyama, Yukiichi Komazaki, Katsuhiro Shirahata, Katsuya Soma and Sadahito Ueda. The Lions also sent a coach, Hiromi Wada, to spend the season with the team. 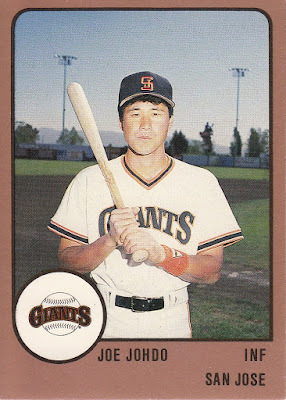 Akiyama hit seven home runs to lead the team despite only playing in 88 games that season. 1984 would see eight new Lions players in San Jose - Michio Aoyama, Akemi Goto, Takeshi Ishii, Kazuaki Kawamura, Kimiyasu Kudoh, Yasuo Kushihara, Yukihara Narita and Ikuo Takayama - plus the returning Katsuhiro Shirahata. As you'd probably expect, Kudoh had a pretty good year, with an ERA of 1.91 and 41 strikeouts in 38 innings despite a 3-4 record (the team went 53-87 for the year, the worst record in the California League). 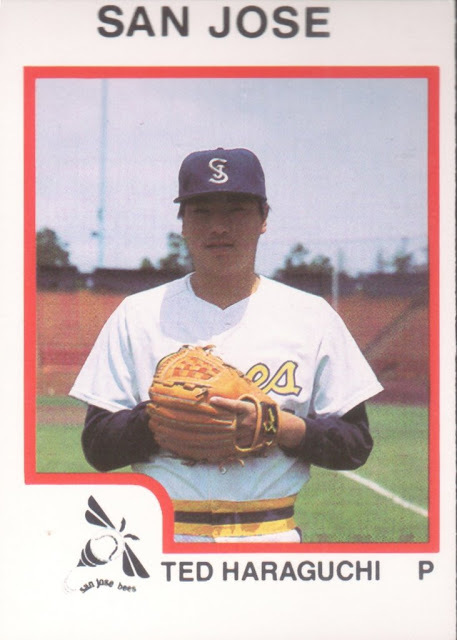 As far as I can tell, Takayama was not officially a Lion in 1984 - he was a member of the Prince Hotel industrial league team (which I believe was also owned by Seibu). He wouldn't become a Lion until the draft in the fall of 1984. The Lions would send seven players to San Jose in 1985. Four were players who had spent time there previously - Goto, Kushihara, Soma and Ueda. The other three were Tadayuki Hanyuda, Kazuo Murai and Seiji Tomoshino. 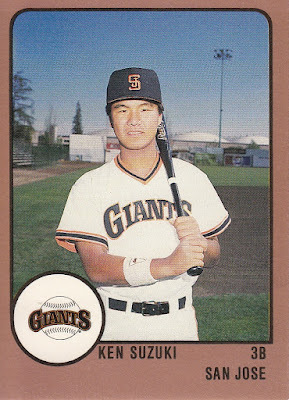 The team also featured future Chunichi Dragon star Alonzo Powell who was on loan from the San Francisco Giants organization at the time. 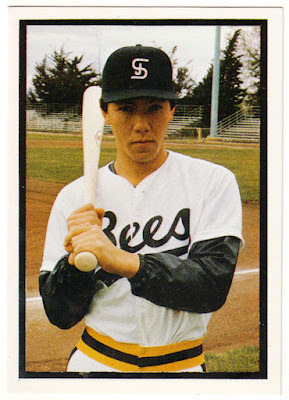 The 1986 San Jose Bees would become a bit of a baseball legend. 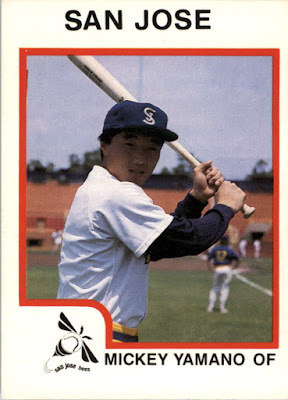 Steve signed a bunch of players who had basically been banished from the major leagues for any number of reasons - although a lot of them had had drug issues. Former major leaguers Steve Howe, Ken Reitz, Mike Norris, Steve McCatty, Jerry White, Daryl Sconiers and Terry Whitfield (who had played for Seibu from 1981-83) spent time on the roster that season, along with five players from the Lions - Yoshihiro Nakashima, Hiromoto Okubo, Norio Tanabe, Kazuaki Yamano and Hisanori Yokota. The team was immortalized in an article in the July 17th/July 31st 1986 issue of Rolling Stone entitled "The Bad Nose Bears". 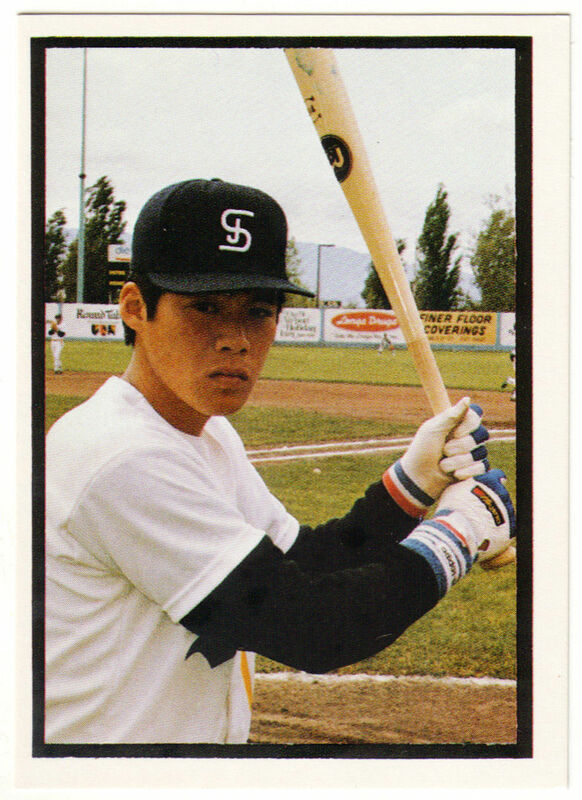 Tanabe's 9 home runs led the team as did his .312 batting average (which was tied for sixth best in the California League). The 1987 Bees aren't as storied as the 1986 team but they also had their share of former major leaguers. McCatty, Reitz and Sconiers all returned (along with Yamano from the Lions) and were joined by the likes of Charlie Moore, Elias Sosa, Roger Erickson and Warren Brusstar. 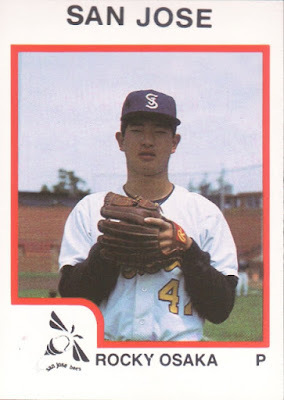 Seibu sent seven additional players to the team as well - Kosaku Akimoto, Tetsuya Haraguchi, Taketo Kamei, Hiroyuki Mori, Tsutomu Nabekawa, Hideo Nakamura and Teruki Osaka. 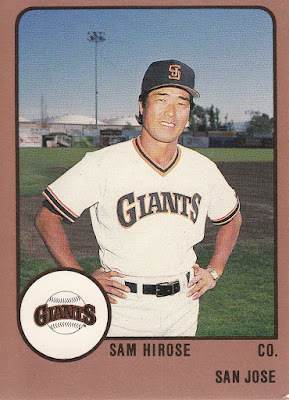 The Lions also sent a new coach - Osamu Hirose - to replace Wada who had apparently felt that four years in San Jose were enough. The team was absolutely horrendous, going 33-109 for the season. The one bright spot for the team was Kamei, who was third in the league with a 2.42 ERA and lead the league with 16 complete games although he also led the league with 14 losses. Big changes were in the air in 1988 - changes that ultimately would lead to the end of the Seibu-San Jose partnership. The Giants decided to end their affiliation with the Fresno Cal League franchise after 30 years due to ballpark issues and signed a Player Development Contract with San Jose. 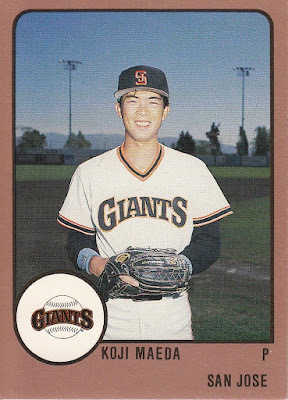 The team would have a new name - the San Jose Giants - and would be provided players by San Francisco. 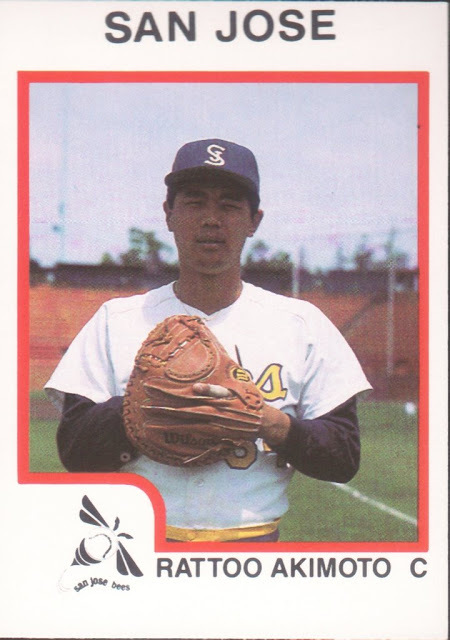 Five Seibu Lions players were part of the team that year, however - the returning Tadayuki Hanyuda, Daijiro Johdo, Koji Maeda, Ken Suzuki and Masanori Yamamoto. 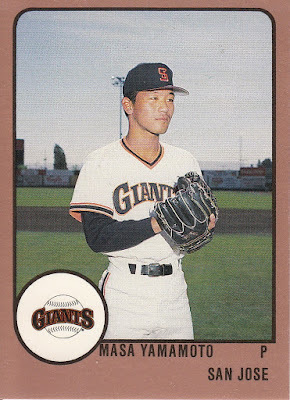 Maeda was one of the bright spots in a very good pitching staff - he went 10-4 with a 2.36 ERA and 111 strikeouts in 99 innings. (Maeda was unusual in that he had originally been signed by the Hanshin Tigers and was picked up by the Lions a few years later.) 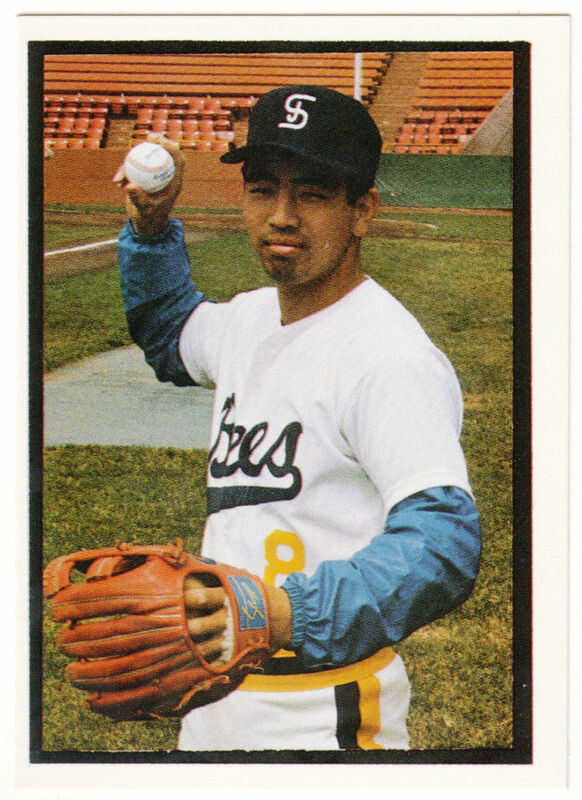 After finishing pretty much dead last in the California League each of the previous five seasons, San Jose made the playoffs in 1988, although they lost in the first round to the Stockton Ports. I'm not sure why the Lions stopped sending players to San Jose after 1988. My guess is that the Giants wanted their players to get playing time instead of the Lions players - frankly I'm surprised the agreement stayed in place for 1988. 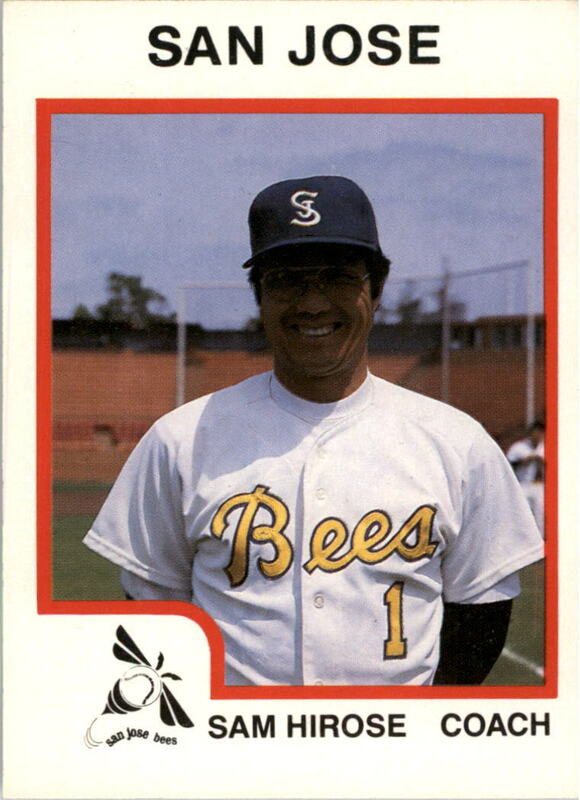 Harry Steve stayed on as GM of the team at least through 1989 - he would later run the Sioux Falls Canaries of the independent Northern League (and go back to his given name - Harry Stavrenos). It's a pretty interesting list. You've got two Hall Of Famers (Akiyama and Kudoh), several managers (Akiyama, Kudoh, Okubo and Tanabe) along with a couple guys who were major contributors to the Lions for a number of years (Abe and Suzuki). And then on the other end of the spectrum, you've got a handful of guys who pretty much were never heard from again. 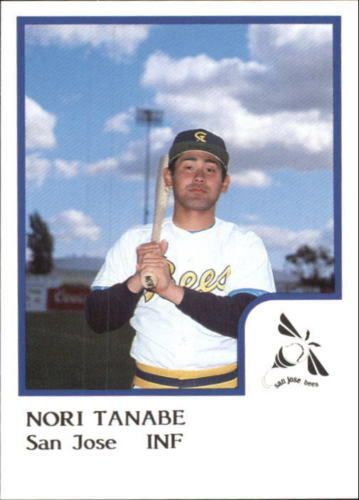 It's kind of wild to think that last season, a quarter of the managers in NPB had played in San Jose (Kudoh, Okubo and Tanabe). 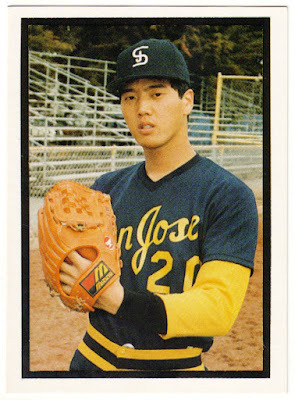 So the next question is - how many of the Lions players had baseball cards in the San Jose team sets? There were team sets available for four of the years that the Lions had players in San Jose - 1983, 1986, 1987 and 1988. Everyone who played on those teams has a card EXCEPT Koji Akiyama. So unfortunately, neither of the Hall Of Famers who played in San Jose has a card. I've pretty much tracked down an image of every card for every Lions player. I have the 1988 set and Jason Presley has a bunch of the cards in one of his Picasa albums. The others I found on Ebay. I found this to be a really interesting story but that might be because I have a special place in my heart for San Jose - I went to me first ever minor league baseball game there - a double header between the Bees (then an affiliate of the Cleveland Indians) and the Fresno Giants in 1976. The Fighters beat the Hawks last Tuesday 7-2. It was Rick Van Den Hurk's first loss at the top level in Japan since his debut with the Hawks last season. 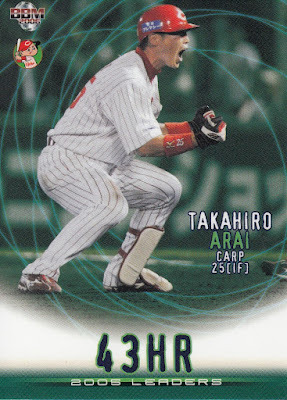 He had won his 14th straight decision a week earlier to pass Taigen Kaku of the Lions and Tsuneo Horiuchi of the Giants for most consecutive wins to start an NPB career. After being down for the better part of a month, BBM's website is back on line. They've moved their list of new sets to a new page. 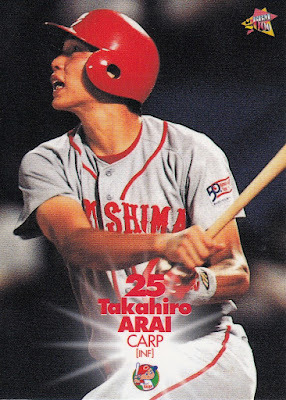 They've added info for a couple of the sets I mentioned last month - the Tatsunari Hara box set and the Carp and Baystars team sets - but not for the Lions team set and the Ohtani/Fujinami box set. The Lions set is scheduled to be released this coming Friday so BBM better get moving. 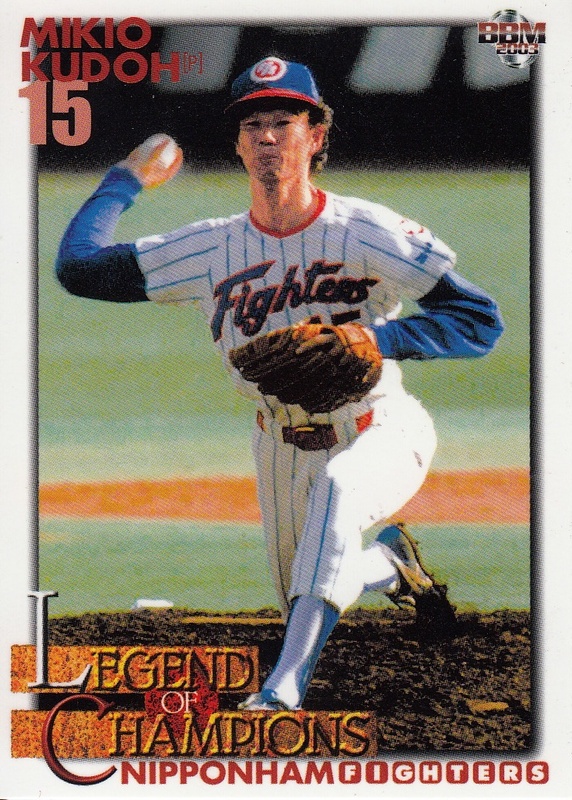 BBM did add information for two more of the team sets - the Buffaloes and the Fighters. Both sets have base sets of 81 cards featuring around 70 cards for the players and manager and several subsets. Both sets have four insert sets - the Fighters have 27 cards over the four sets while the Buffaloes have 18. Both sets have the usual collection of autograph cards available. I'm amused that the Fighters set has an 11 card subset featuring the players in street clothes - I guess BBM felt threatened by the AI set that came out recently. Both sets will be out in mid-June. Epoch has also recently announced a couple new products. The latest of the team based "Stars & Rookies" sets is for the Buffaloes and will be released on June 25. 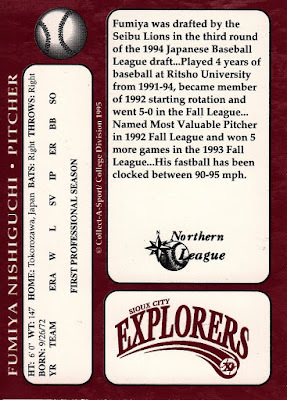 It's pretty much the same idea as the Lions and Baystars sets Epoch has released earlier this season - each box (that retails for 12,960 yen or roughly $118) contains two mini-boxes containing 6 cards each - one or two will be autographed cards and the others will all be base set cards. I think it breaks down to 9 base set cards and three autograph cards per box. There are apparently some "hot boxes" that will contain four autograph cards. There are 27 cards in the base set and a boatload of possible autograph cards. The other Epoch set is their latest ultra high end set done in conjunction with the OB Club (aka the Japan Baseball Promotion Association). The theme of this one appears to be "League Leaders". Once again, it's a very expensive box (16,200 yen or around $147) for a one pack box containing two base set cards, one insert/parallel card and two autograph cards. There are 27 players featured in the set - each player has a base set card, two different insert/parallel cards, two different autograph cards and a autographed booklet card available. The set will be out on July 9. There's something on Jambalaya's upcoming release schedule that is intriguingly called "Kabaya Central League Baseball gum". I finally did some Googling of the Hiragana text for it (カバヤ セントラルリーグベースボールガム) and discovered that this is a Epoch set being packaged with banana flavored gum from Kabaya. 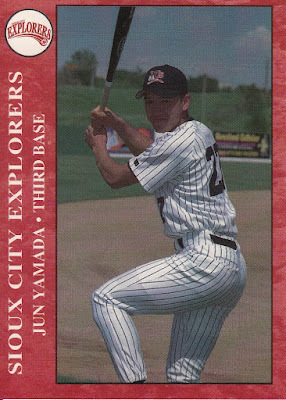 There's 36 cards in the set (six for each of the six Central League teams). The set is being sold in boxes of 20 1 card packs. The boxes have an MSRP of 2160 yen (about $19.60). I'm including this link to Amazon Japan's listing of the set so that you can see all the cards - the boxes are not eligible to be shipped outside of Japan though. A couple months back I did a post on Lions pitcher Fumiya Nishiguchi on the occasion of his retirement. 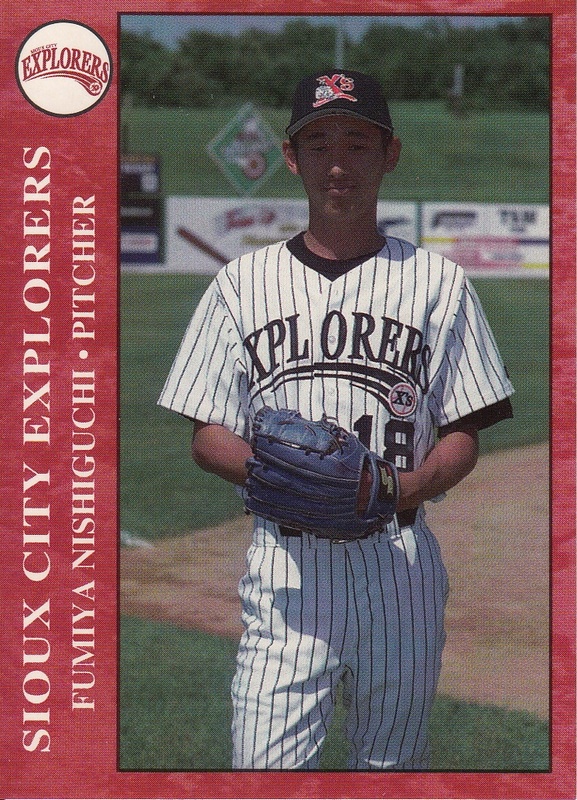 I mentioned that I had learned while researching the post that the Lions had sent Nishiguchi to the Sioux City Explorers of the Northern League for six games during 1995 season to learn how to throw a change-up. 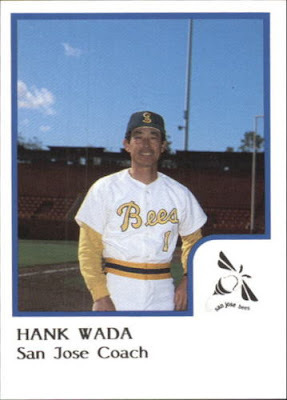 I figured that with having only spent six games with the team, he wouldn't have made the card set that was produced for the team by Collect-A-Sport that season but I couldn't find an on-line checklist to confirm or deny it. It occurred to me a couple weeks after I published the post that I should ask Bill Tyler, the web's foremost authority on the resurrected Northern League (1993-2011) and the independent American Association (2006-present), about the team set. He confirmed that Nishiguchi actually WAS in the set. Now all I needed to do was to find a copy of the set. I lucked into one for a reasonably cheap price on Ebay the other day and it showed up in the mail today. 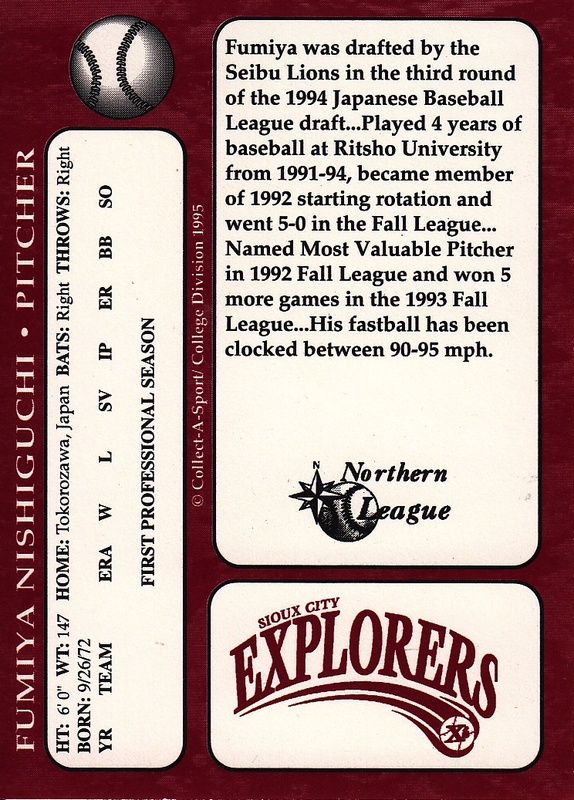 The bio is actually pretty accurate - although it was Rissho University, not Ritsho and if you didn't know that collegiate baseball in Japan has a Spring and Fall season, you wouldn't understand what the "Fall League" was. 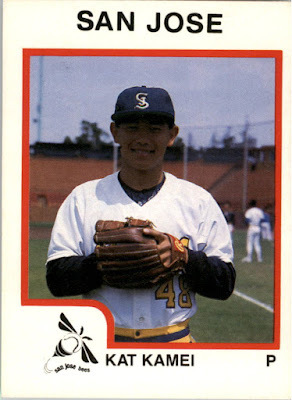 Former Nippon-Ham Fighters pitcher Mikio Kudoh has passed away from liver failure at age 55. 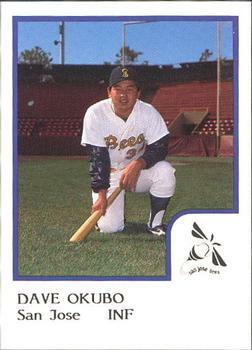 Kudoh was drafted out of high school by the Fighters in second round of the fall 1978 draft. 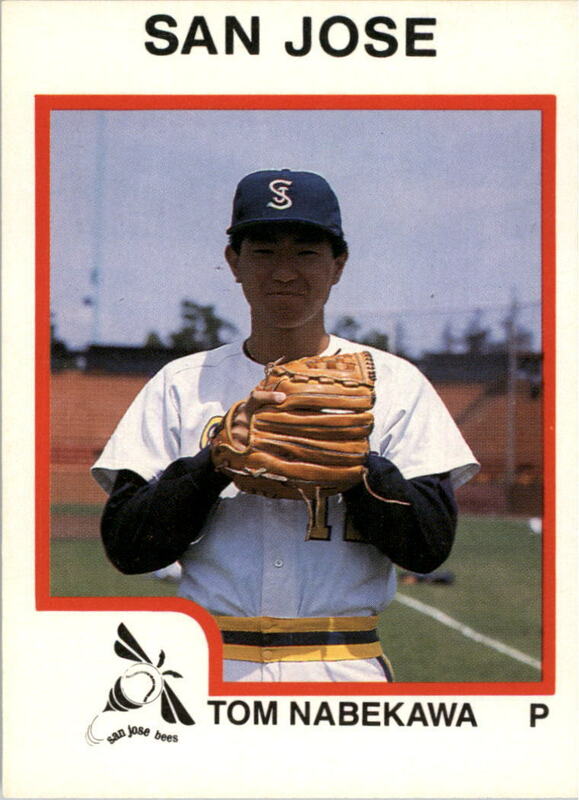 He debuted with the ichi-gun team in 1979, going 0-1 with one start in three appearances. 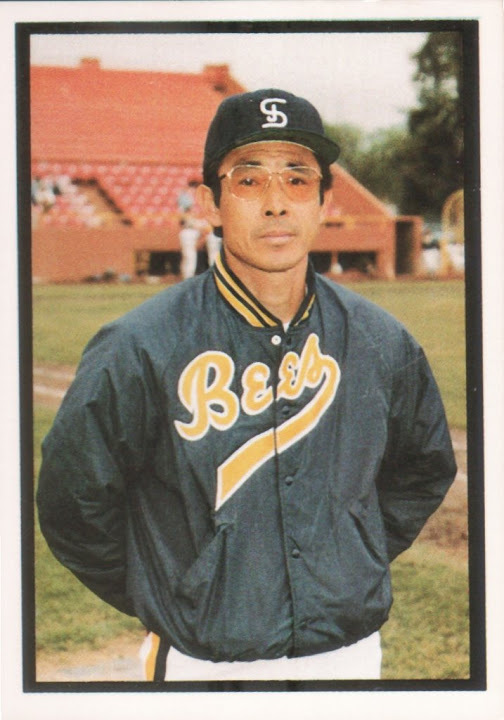 He spent the entire 1980 season with the ni-gun team and lead the Eastern League in wins. 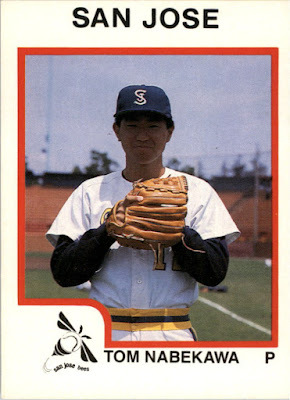 He returned to the top team in 1981 and went 2-9 during the regular season - but then he matched that win total in the Nippon Series that season, winning Games One and Three in relief (the only two games the Fighters would win in the Series). He had by far his best season in 1982, going 20-4 with an ERA of 2.10. Those 20 wins lead the Pacific League that year and he was named to both the All Star team and the Best 9 team for the only time in his career. He suffered a finger injury late in the season but was still available to pitch in the Pacific League playoffs* against the Lions - getting the win in Game Three (which was the only win the Fighters would have in the Series) and winning the "Fighting Spirit" award (basically the MVP for the losing team). 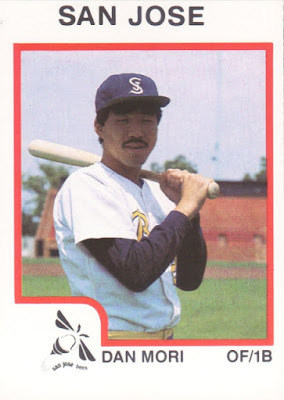 He went 8-8 in 1983 and suffered what ended up being a career ending injury to his shoulder. He only made one appearance at the ichi-gun level in 1984 (going only a third of an inning and giving four runs on a walk, a hit batsman and two hits including a home run) and spent the rest of his career with the ni-gun team. 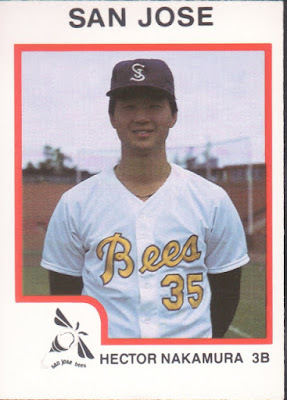 He briefly converted to being an infielder before retiring after the 1988 season. 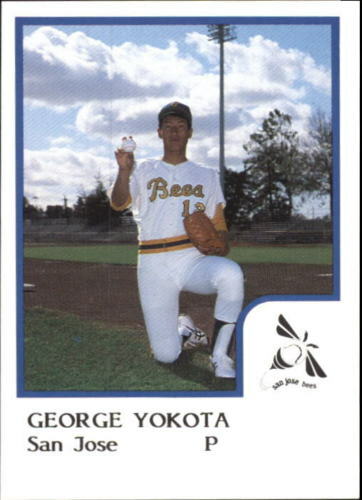 *The Pacific League did a split season playoff format between 1973 and 1982 with the first half winner playing the second half winner in a best of 5 playoff series. If the same team won both halves, there would be no playoff - which is what happened in 1976 and 1978 when Hankyu did it. For some reason, Kudoh does not have a lot of baseball cards. 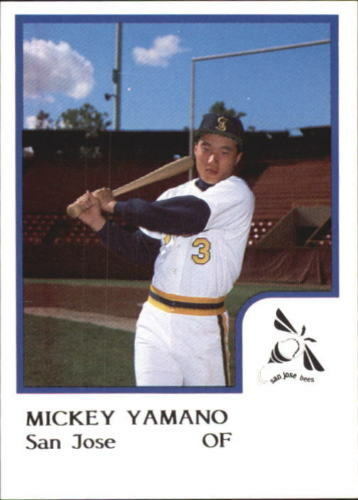 He appeared in the Takara Fighters sets between 1981 and 1984 (along with the 1984 Takara Kids set) and he had three cards in the 1983 Calbee set. 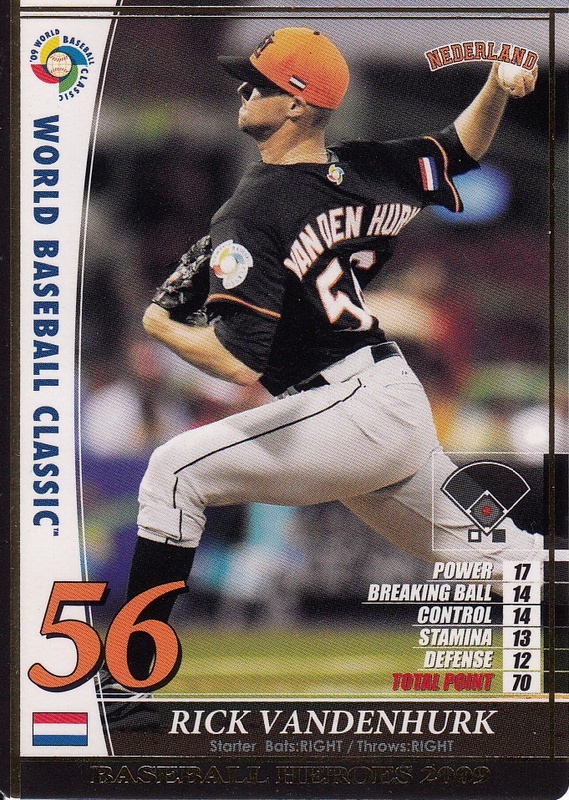 To my knowledge, that's all the cards that were released of him during his career. He only has one BBM cards that I know of - a "Legend Of Champion" subset card from the 2003 BBM Fighters set. 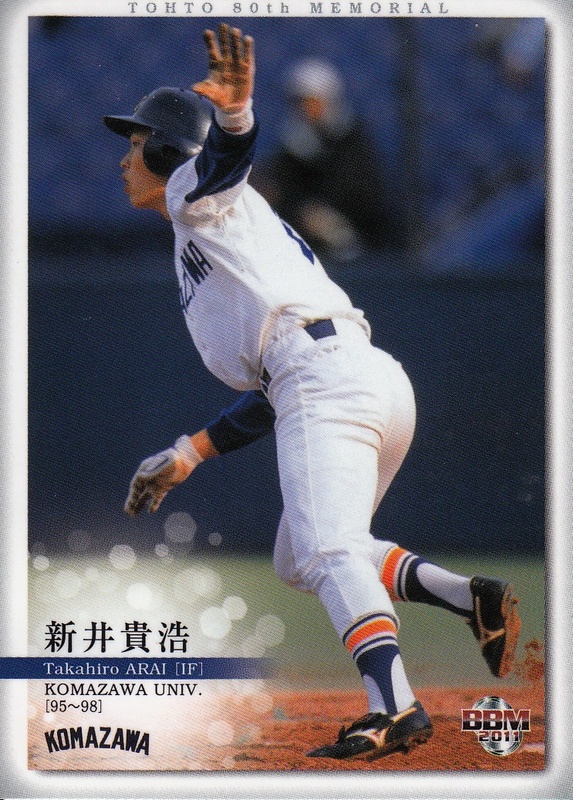 He has not appeared in any of the annual "Historic Collection" sets and since the Fighters have never had an OB team set other than the one that celebrated their 10th Anniversary of their move to Hokkaido, there's never been an OB team set for him to appear in. The Marines and Eagles played two crazy games the last two days in Chiba. 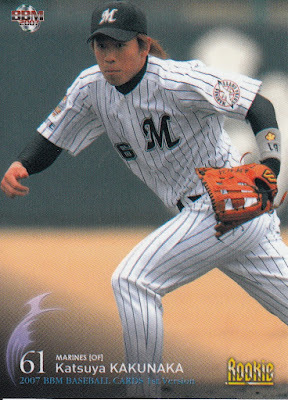 Yesterday, the Marines beat the Eagles 13-12 in 10 innings, winning on a walk off single by Tadahito Iguchi. Today was another extra inning victory for Lotte, coming back from being down 5-1 after 5 innings to win 9-8 on a game winning single by Alfredo Despaigne in the 11th. 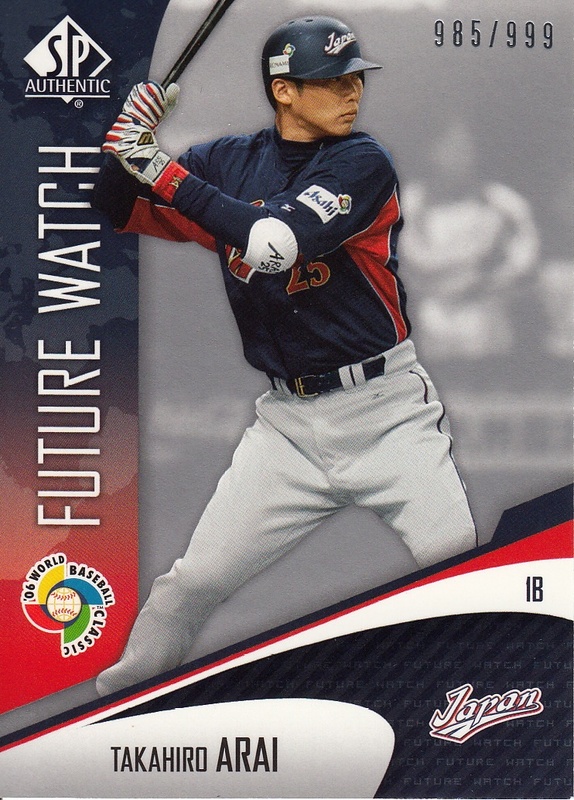 One of the stars for the Marines over the two games was left fielder Katsuya Kakunaka, who went 5 for 7 with four walks over the two games, scoring six runs and knocking in four. Oh, yeah and he homered in each game as well. Jonny Gomes asked for and received his release last week from the Eagles. He apparently had a family matter to deal with and hopefully everything will work out well for him. 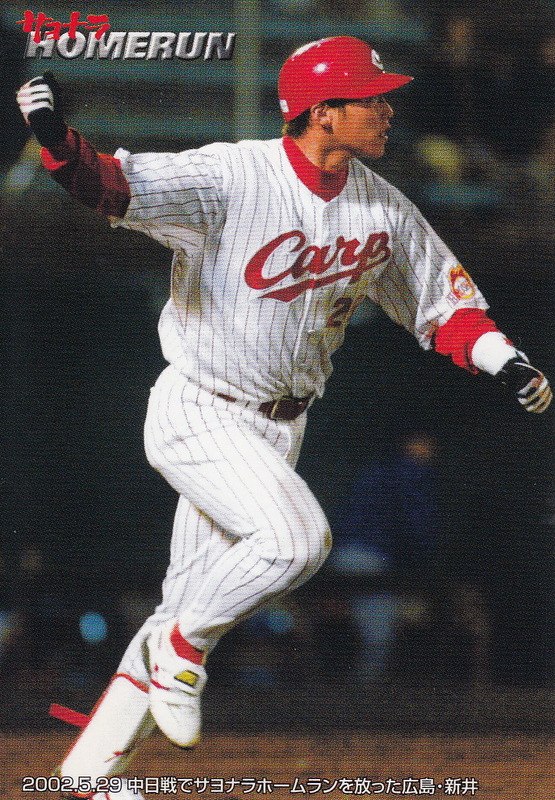 His exit, however, brings to mind other foreign players who had a quick exits from Japan - Mike Greenwell (7 games with Hanshin in 1997), Frank Howard (1 game with the Lions in 1974 before getting injured), Brian Bannister (left before the 2011 season following the Tohoku Earthquake), etc. For some reason though (and it's probably unfair to Gomes), I keep thinking about Brad Penny, who the Hawks signed for the 2012 season. He made one start for them, going 3 1/3 innings against the Eagles and giving up 7 hits and 6 runs (4 earned) while walking three and only striking out one. He complained of shoulder pain although MRIs in both Japan and the US were negative. The Hawks released him in late April that year. 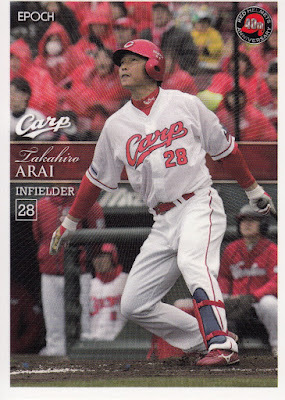 I'm late getting around to this but Takahiro Arai of the Carp got his 2000th hit last week. Arai was born and raised in Hiroshima but went to college at Komazawa University in Tokyo. He was drafted by his hometown team the Carp in the sixth round of the fall 1998 draft. 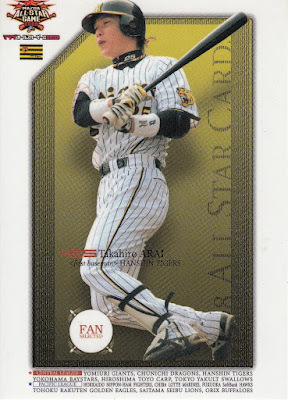 He left the Carp following the 2007 season as a free agent and signed with the Hanshin Tigers. He returned to the Carp as a free agent again before the 2015 season. Arai made the All Star team four times - three times with the Carp (2002, 05 and 07) and once with the Tigers (2008). He's been named to a Best 9 team once (2005) and won one Golden Glove (2008). He lead the Central League in home runs in 2005 and RBI in 2011. He played for the Japan National Team in the 2006 World Baseball Classic and the 2008 Olympics. He has never played in a Nippon Series - he was on the roster for the Tigers for the 2014 Series but a back injury kept him from playing. 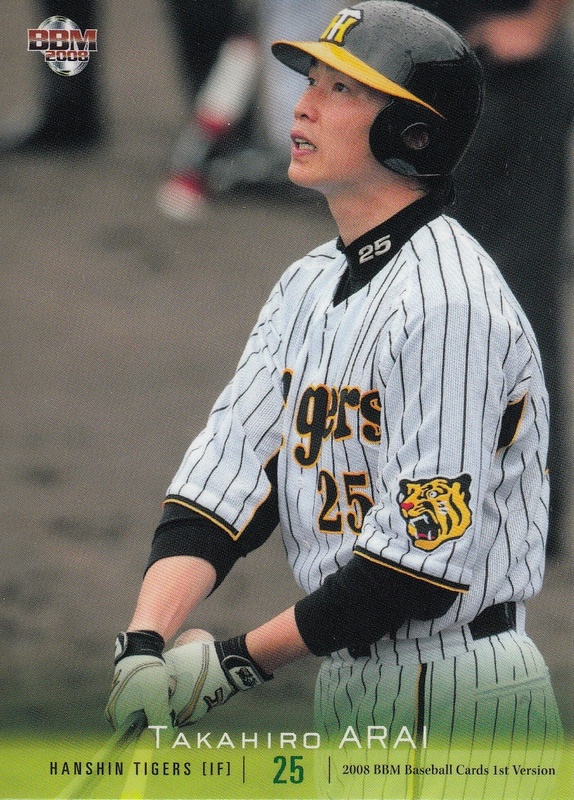 His brother Ryota has played for the Dragons and Tigers - the two were teammates with Hanshin from 2011-14. I'm curious when this photo was taken. 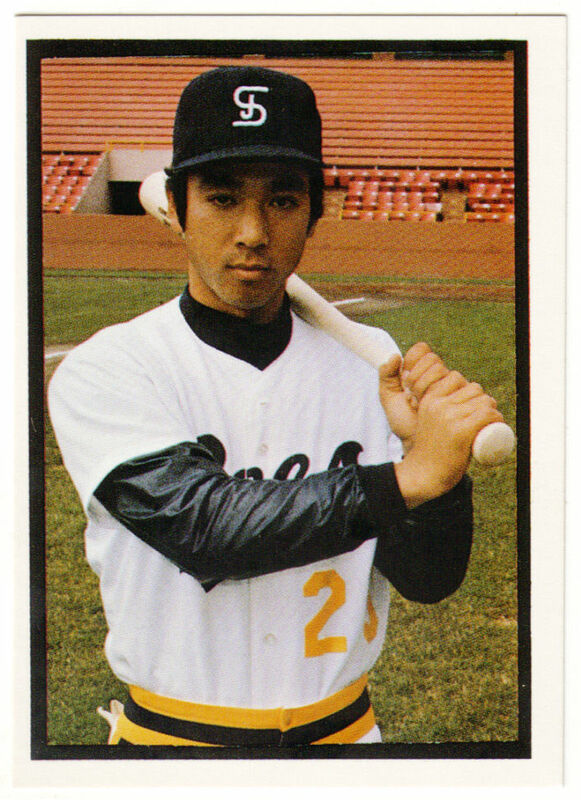 Hillman's wearing a Hokkaido Nippon-Ham Fighters home uniform so I'm assuming that the photo was taken in Sapporo Dome. 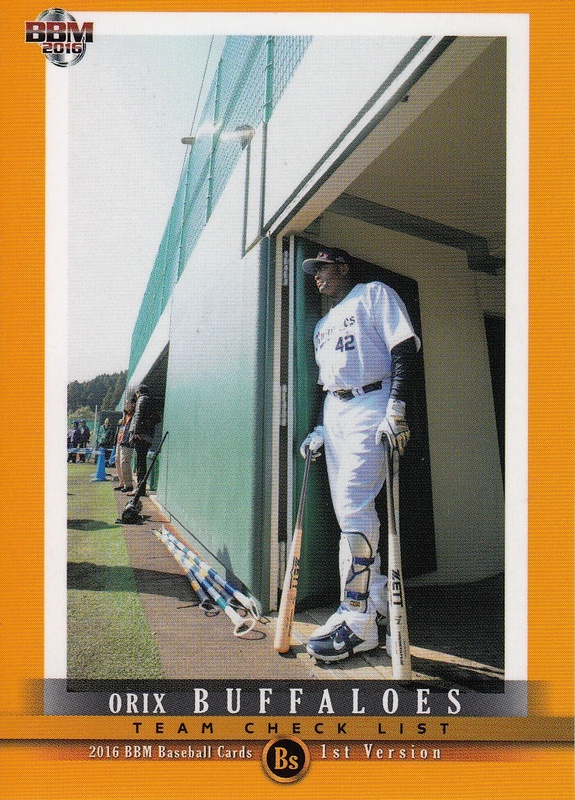 The set is from 2004 which was the first year the Fighters played their home games in Hokkaido. Giabbit, the mascot for the Yomiuri Giants, is in the background so the obvious suggestion is that the Giants were playing the Fighters. That may be true, but it must have been an exhibition game as interleague play didn't start in NPB until a year later in 2005. 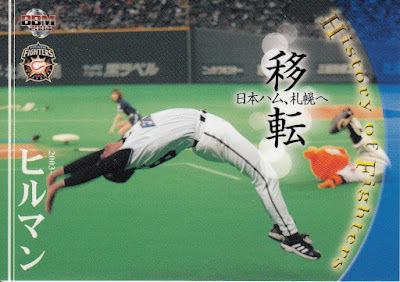 According to Hillman's Japanese wikipedia page, he did a backflip with the Fighters' mascot BB on Fan Appreciation Day at the end of the 2004 season and hurt some ligaments. I suspect that put an end to his backflipping days.